Heavy rain can come suddenly in the Sunshine Coast and when it does, you need good guttering. That means that if your gutters are deteriorating, you should consider replacing them. Here at Strongguard, we are aware of the important role gutters play on your roof. Our twenty years of experience has allowed us to develop a great range of guttering solutions. As a result, we can provide you with gutter replacements that are made to last. We pride ourselves son offering industry leading quality. A large part of this is our quality products. We source Australian made steel guttering from BlueScope Steel. 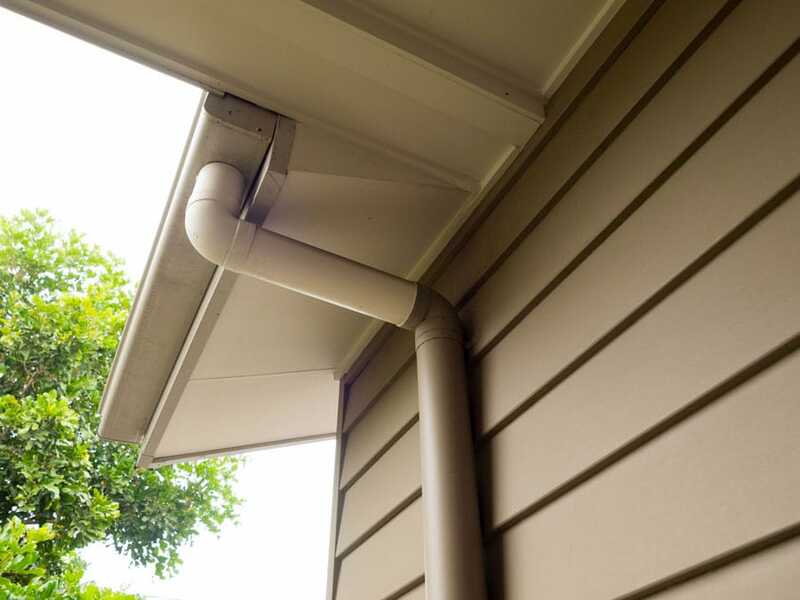 These gutters are designed to thrive in the challenging conditions of the Sunshine Coast. In addition to this, we ensure that your new gutters are selected and installed to last. This ensures that you have a durable, good looking and long-lasting guttering system in your home. 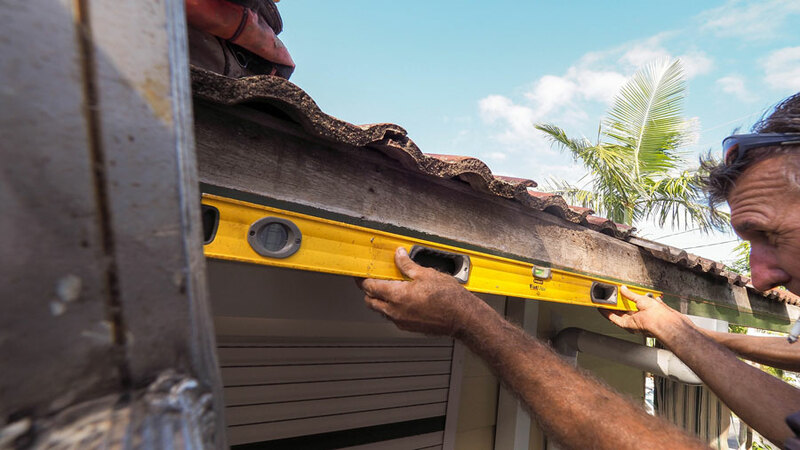 Gutter replacement is a pretty standard part of home maintenance on the Sunshine Coast. Most gutters are really only designed to last for thirty years or so. When you factor in the unpredictable rain across the Sunshine Coast, they often deteriorate sooner. Things like rust and damage can prevent your gutters from working properly. To make matters worse, small problems like rust often get bigger quite quickly. Fortunately, there are a few things the team here at Strongguard can do to fix this. We always begin our guttering jobs by matching the correct profile of gutter to your roof. Choosing the right gutter profile is vital, as it determines how well your roof is drained. With every Strongguard installation, we check the fall, profile, size and quality of the guttering. We have worked in the industry for over twenty years, so we are familiar with the importance of correct installation. For example, if the fall is incorrect, the gutter will not drain properly. This can cause overflowing or pooling. Improving your guttering requires attention to detail and dedication to quality. Here at Strongguard, we offer all this, plus quality materials. Our team offers precision and to do this, we have estimators to measure you gutters before the job starts. With these measurements, we can source guttering materials without wasting anything. As well as this, we can provide you with accurate quotes. There are strict regulations to ensure our safety when working at heights. We always meet these requirements and safety comes first here at Strongguard. As a part of this, we set up elevated working platforms that allow us to work safely. They also provide great access to your gutters. Once these have been assembled, we will strip down all of your old guttering and downpipes. With these out of the way, we can set the falls for your brackets. These will suit coloured spike brackets or internal concealed brackets. By this stage, we will have already sourced your new gutters from top quality suppliers. This means that they will be ready to go on. When we install your new gutters, we do so with great care. We understand that the quality of the installation is just as important as the quality of the materials. That is why we pop-rivet all joints and corners, as well as undersealing them. This gives great durability and a weatherproof seal. It also allows the guttering to expand and contract, so that cracked joins aren’t an issue. At Strongguard, we offer guttering solutions that are suitable for homes with stormwater drains or rainwater tanks. That is why we connect your downpipes to either a stormwater drain, or a rainwater tank. We install PVC or COLORBOND® steel downpipes, so you are guaranteed great water capacity and a very long lifespan. When we have finished doing this, we will clean up all the scraps and leave you property clean. If you want to increase the drainage capacity of your roof and add a modern touch, then we have the solution. Contact Strongguard for all your guttering needs today. We offer gutter replacements using only the highest quality Australian made materials. If you would like to know more, then call our office today. Alternatively, you can send us an online enquiry and we will get back to you. #1 My gutters don’t seem to drain properly – do I need more downpipes? If your gutters don’t drain properly, then the problem is probably the fall of your gutters. The fall of your gutter must be spot on; otherwise they will not drain at their full capacity. If there is an issue with the fall, then you should consider replacing your gutters. Replacement is a more beneficial option than re-falling. Both require a similar amount of work, but when you replace your gutters, you get BlueScope quality as well. However, there are some instances in which you might need more downpipes. This is usually only the case on older homes. Some older homes were constructed before stormwater systems were built in the area. These homes usually do not have sufficient downpipes. If you would like to know more, get in touch with one of our estimators. #2 My gutters are very high and inaccessible, can you still help me? Here at Strongguard, we specialise in all manner of roofing solutions. Whether you need domestic guttering or commercial guttering, we can help. To ensure that our services are suitable for everyone, we maintain a range of equipment that can safely get us up to any height. We have done work on everything from single storey buildings, to high-rise complexes in the past. Our scaffolding, booms and elevated work platforms are well suited to all guttering jobs. This means that we can work securely, regardless of how high we are. If you have any concerns about access or height, simply give us a call and we can provide you with some more information. #3 For some reason my gutter is leaking between my home and external deck – what should I do? If your gutter leaks onto your deck, then give us a call. This is one of the most common issues that we deal with hear at Strongguard. Guttering in this area is somewhat predisposed to certain faults that can cause leaking. There are several ways that we can fix this for you. In most cases, we will recommend a gutter replacement. Replacing your gutter will give us the opportunity to upgrade both the guttering and flashings. To ensure that you get the best quality, we can upgrade your gutters to COLORBOND® steel gutters. These offer you a fantastic combination of durability and good looks. They are designed to match all types of roofing seamlessly, so you don’t have to worry about appearances. #4 Can you re-fall my existing gutters if they are falling incorrectly and leaking? Here at Strongguard, we do have the knowledge and experience necessary to re-fall all of your existing gutters. Despite this however, we do not usually recommend this. A complete gutter re-fall is a big job. In fact, it requires a similar amount of work to a complete gutter replacement. Because of the labour required, you will probably have to foot a relatively large bill. We feel that this cost does not necessarily represent great value for you, as you will still have the same old gutter. Instead, we feel that a gutter replacement will offer far better value for money. 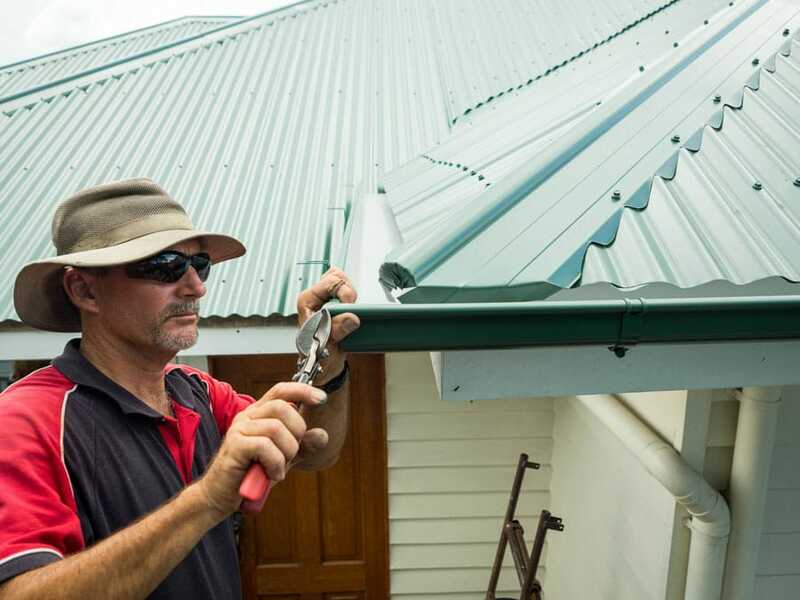 With a gutter replacement you will get the advantages of a re-fall job, but with brand new COLORBOND® steel gutters. This means your guttering will be in great condition for many years to come. #5 If I have rusted gutters in one section alone, should I still get a complete replacement? If you gutters have rusted anywhere, then there is probably a problem with the fall of your guttering. If they are not falling well, then water may collect in certain areas. This will then cause those areas to rust. While we could fix the rusted section alone, we do not recommend it. If one area is rusted, then chances are that other areas will too. If we give you a complete gutter replacement, then this will no longer be a threat. With a complete gutter replacement, you get brand new gutters for ultimate durability. 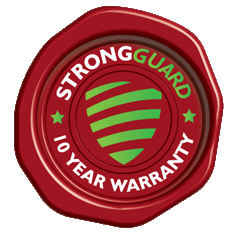 You also get brand new installation from the team here at Strongguard.